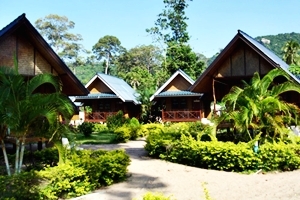 Seashell Resort Koh Tao Address : 9/1 Sairee Beach , Koh Tao Surat Thani 84280 Thailand. 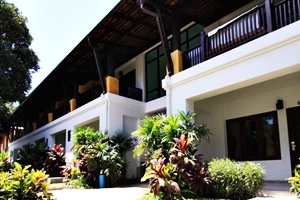 Seashell Resort Koh Tao 9 out of 10 From 1,773 Baht (58 USD) 2 ratings. 5 user reviews. 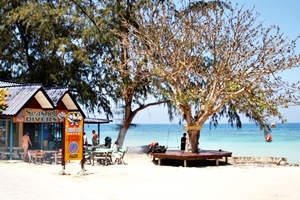 Welcome to Seashell Beach Resort, the only true beach resort on Koh Tao. 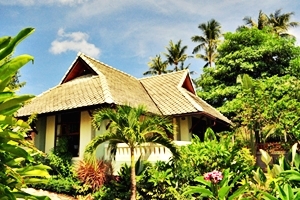 Nestled among coconut palms and tropical flowers, our cottages and bungalows offer everything you have come to expect from a laid back tropical resort. 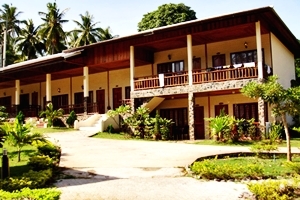 Seashell Resort Koh Tao is centrally located in the popular resort area, within easy walk to markets, shops,beach bar, restaurants and Sairee famous beach.The resort is styled around a garden landscaped and swimming pool, with PADI dive center and a spa area. An additional bar and modern restaurant is located on the beach serve Thai Food ,European Food and Seafood just opposite the lobby located on Sairee Beach , facilities Laundry Service , Jacuzzi /Swimming pool Children Pool , Beach front Restaurant (Thai/Western cuisine) , Safety Deposit Box , Counter Tour , Money Exchange service , Internet Wi-Fi Ext. The pool and pool area is really nice but most days there are scuba divers in the pool - it is connected to the Seashell diving school so it is to be expected. The restaurant is quite buzzy but the food is average. Great place to watch the sunset.